Warm a pan with oil. Once Oil is extremely hot and heated up place fire on low. Place one tortilla in oil, flip it over, then place tortilla on a plate to fill with ingredients. Scoop a spoonful of beans onto tortilla and spread only on half of it. Add onions, kale, and a slice or two of eggplant. Roll tortilla up and place in a Pyrex dish. Continue to do this until dish is full. Heat up enchilada sauce and pour sauce over rolled up tortillas. Place the pyrex dish in the oven on 400F for 10-15minutes or until Sauce is boiling. Chop up cabbage. Squeeze lemon juice. Sprinkle pepper and salt and mix well. 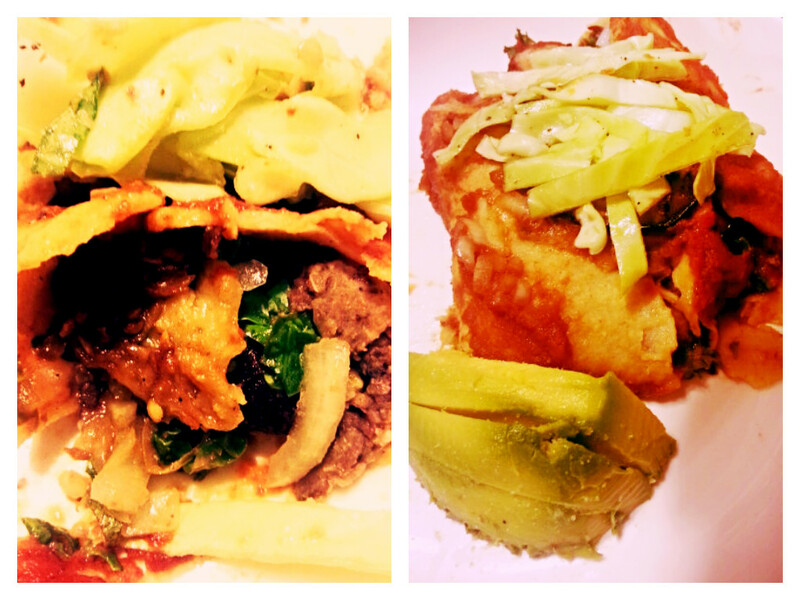 Once you serve the enchiladas onto a plate, garnish with cabbage. Add fresh slices of avocado on the side. 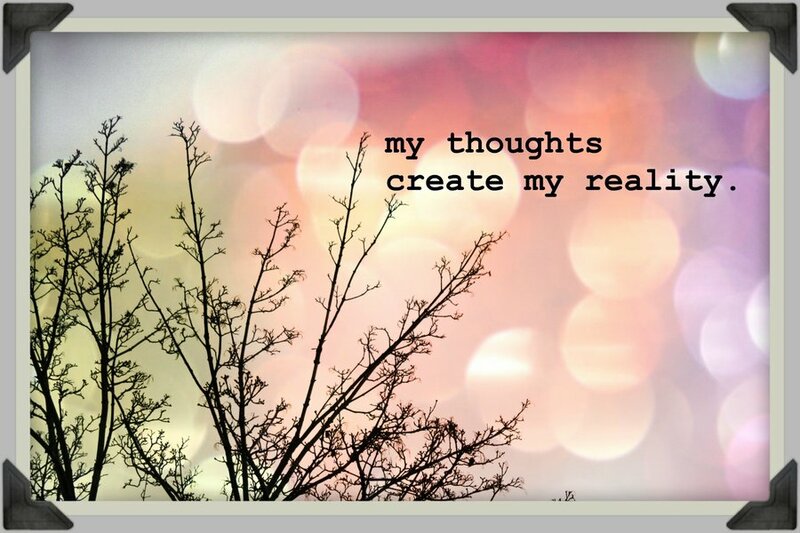 Our thoughts create our own reality. When we focus on what we don’t have. On what we are missing out on. When we start to ask why everything seems to be far from our reach and how come nothing is working out, we have to stop and listen. Listen to the thoughts we are creating in our heads. We have to be true to ourselves and remind ourselves that our thought process is more powerful than we know. Focusing on the negatives will create more negative. We will start to create this gap in our lives, creating scarcity in our lives thus projecting insecurities that need not to exist. Once we remind ourselves that we have all that we need and all the answers we are searching for lies within us, we will start to feel secure again. We will not only bring peace into our hearts and minds but into our lives as well. “Abundance is not measured by your resources but through your ideas about your life”. 1. Soften peanut butter in the microwave for 15 to 30 seconds. Make sure it’s not too runny. Grease a 9×9″ cake pan. Preheat oven to 350 degrees Fahrenheit. 2. 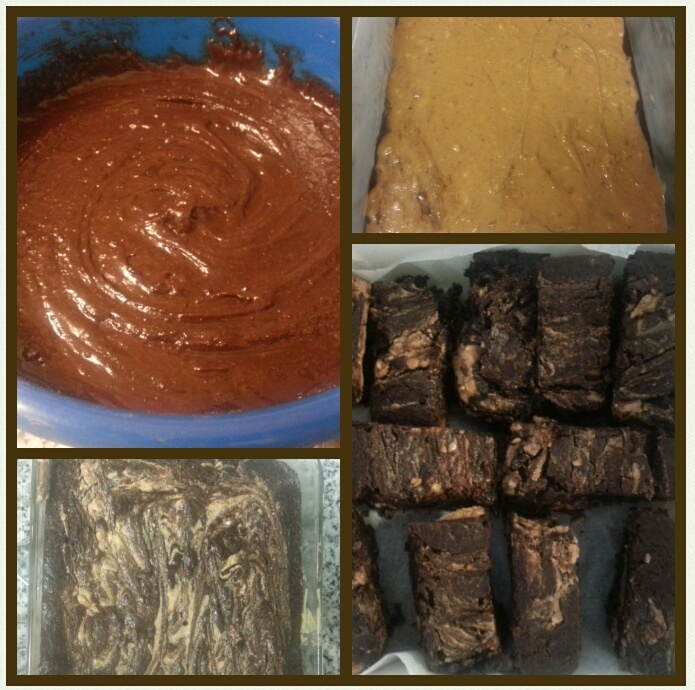 Mix flour, sugar, cocoa, salt, and baking powder in a bowl. In a separate bowl, mix water, oil and vanilla extract. 3. Combine the wet and dry ingredients, making sure not to overwork the batter. 4. Pour 1/2 the batter in the prepared cake pan, followed by the softened peanut butter (spread around, avoiding edges), and then pour the rest of the batter on top. Bake for 30 to 40 minutes. One of my favorite Vegan Activist/Blogger/Author wrote this brilliant post about Veganism and the Government shutdown. When we are willing to listen to ourselves, that is when taking our next step in life becomes easier. So many things happen throughout our lives and following a path can be difficult for some and easier for others. Fear of the unknown gets to us all. But sometimes the unknown can bring surprises. Always listening to ourselves, recognizing the feeling we get in our gut, and trusting ourselves can reassure us that we are staying focused on the most important thing that matters, and that happens to be US. Only we know what is best for us. Sometimes we say we don’t know but deep down we do know. No one can tell us what is good for us besides ourselves. When figuring out which direction to go, how to expand and grow, we need to look back on the paths we have already taken. We need to look at where we came from, what brought us to where we are now, and what stuck with us. Look at what makes us happy, brings a smile to our face, warms our heart, satisfy our souls. Everything holds some sort of importance, and doing what makes us happy is the only sure way we are on the right path. 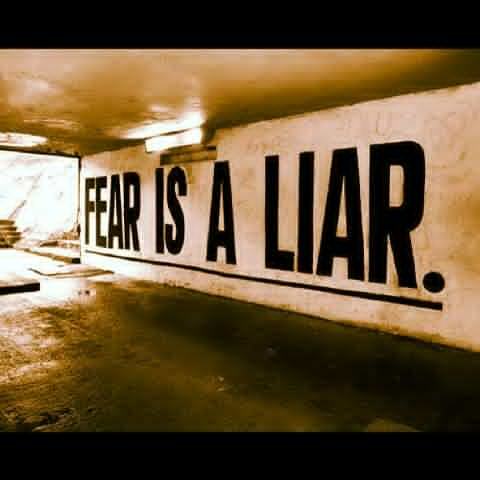 We must not fear anything, for fear is just a word, fear is a choice, and fear is a liar. WOW! A very bittersweet video about OCD and Love. This guy amazes me with his expression. It’s absolutely amazing! There’s no words to describe it. Neil Hilborn with Button Poetry. I’m creating this blog mainly for myself. Somewhere I can share my thoughts, feelings, ideas, and love for life. I’ve been vegan for 4 years now. It’s just who I am. I do it for myself, all living beings, and for the environment. I am an avid reader. Books, journals, articles, blogs, essays, newspapers. I enjoy reading things that help inspire me. That helps me understand more of who I am and ask questions about life and this beautiful world in which we live in. Not to mention my curiosity brings me to try to understand the cruelty that goes on as well. I’ve studied Psychology, Child Development, Feminist studies, Nutrition, Eco-living, and Veganism. I would consider myself to be spiritual. I meditate. Exercise. Journal. And live a cruelty free life. I am excited to see where this blog takes me and for all the wonderful people I know I will meet along the way. I once read: Life divides into: Amazing enjoyable times. & Appalling experiences that will make future amazing anecdotes. I plan to post VEGAN recipes, articles, other blog entries I find to be relevant, videos, links, writings that have helped me, and anything I find to be interesting. Please share with me anything you find engaging, ask questions about things you would like to know about, and share with me ideas you would like to see on here. I am open to many things.